With over 100 years of combined experience, you can trust our contractors to provide you with a beautiful, durable bathroom. 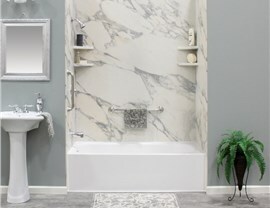 If you’re looking for a quick and easy way to enhance the quality and value of your home, a Peoria bathroom remodel probably doesn’t come to mind. That’s because bathroom makeovers have a reputation for being messy, expensive, and time consuming, but that doesn’t have to be the case. If you’re looking for a quick, affordable bathroom remodel solution that doesn’t compromise on quality, look no further than the professionals at Get A Pro. Our experienced, local bathroom remodeling contractors can provide you with a brand new shower, remodel your existing shower, or provide you with a bathtub replacement. We even offer bathtub liners and surrounds that can be installed from start to finish in as little as a day! 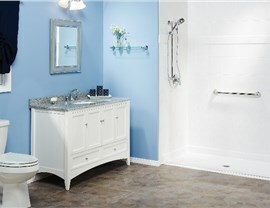 Why Choose Get A Pro for Your Peoria Bathroom Remodel? It’s not much of a challenge to find a contractor who is willing to provide you with a custom bathroom remodel solution, but finding a quality contractor that focuses on customer service as much as they focus on the finished product is no easy feat. We want you to spend more time enjoying your bathroom and less time cleaning it. That’s why all of our tubs and showers are made out of durable acrylic right here in the United States. 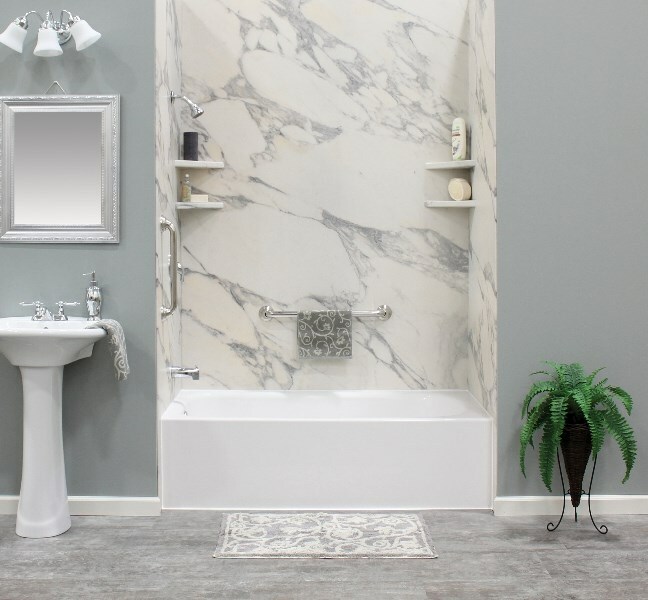 With Silver Shield antimicrobial protection, your new tub or shower will be resistant to mold and mildew, making your new space much easier to clean. You won’t have to worry about cracking, chipping, or fading either! How Much will a Peoria Bathroom Remodel Cost? 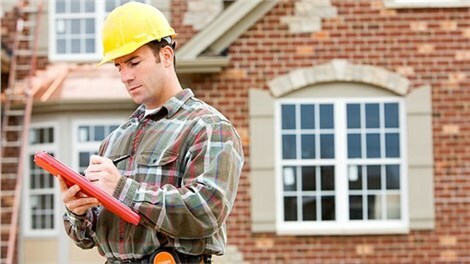 Before our bathroom remodeling contractor gets started on your project, we’ll provide you with a FREE personalized quote. 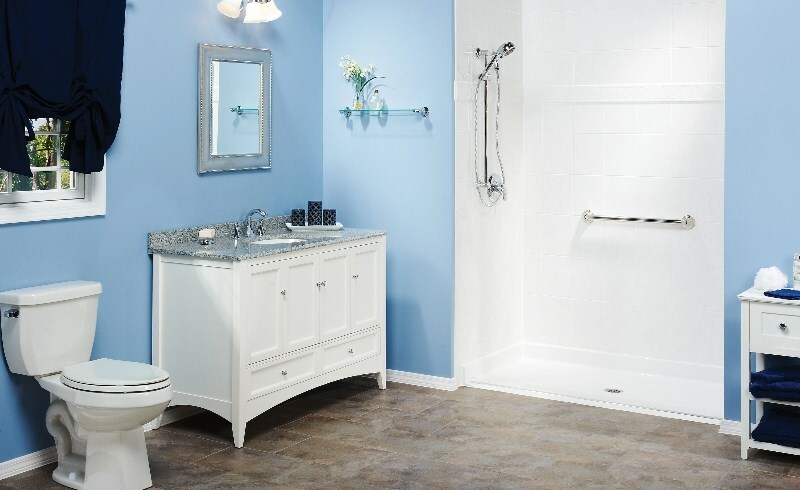 Give us a call to learn about other our other Peoria remodeling services or schedule an in-home estimate, and you’ll discover that a brand new bathroom is definitely within your budget.